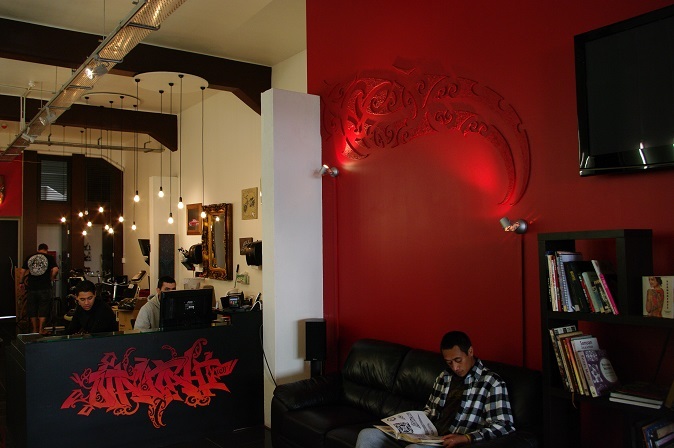 Lighting design for a tattoo parlour – The client brief was high impact at minimal cost, with sufficient light for detailed work. Fluorescent strips arranged along one wall provided the impact with clusters of bare bulbs above each workstation for task light. Artworks on the walls were spotlit from above.